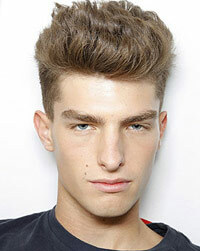 Paolo Anchisi was born in Italy, on August 21, 1991, is an Italian male model. He was discovered by model scout from modeling agency Ford Models. He signs with Ford Models in 2009. Paolo's mother was a top model in the late eighties and early nineties. Anchisi becomes the male face of Versace and Yves Saint Laurent in 2010. He featured in a short film by Bruce Weber for Yves Saint Laurent in 2010. GQ Brasil and Russia, L'Officiel Hommes Singapore, GQ Spain, GQ China, L'Officiel, GQ Style Germany, Contributor Magazine, Vogue Hommes, GQ Style Italy, GQ Style Korea, Centrefold Magazine, METAL, 7TH Man, Tiger, Essential Homme Cover, V Man, West East, Magazine Antidote, CLIENT, Numero Homme, Varon, Dansk Cover, Vogue China Men, Sleek Magazine, 10 Men, L'Officiel Hommes Germany, 160 Grams, HERO, Vogue Hommes Japan. Vince Camuto, Club Monaco, Giuseppe Zanotti, Kenneth Cole, Ermenegildo Zegna, Armani Exchange, Pierre Balmain, Lanvin, H&M, Jill Stuart, Bergdorf Goodman, Emporio Armani, Dsquared2, Cole Haan, Ports 1961, Costume National, Dolce & Gabbana, Zara, Diesel Black Gold, Versace, Yves Saint Laurent. Walked runway for Marc by Marc Jacobs, DKNY, Dolce & Gabbana, Pierre Cardin, Guash. Represented by agencies Request Model Management NY, Elite Milan, UNIQUE DENMARK Copenhagen, Barcelona Traffic Models. My mother was a model back in the day, so she helped me. The only thing she ever told me is to watch out for the lighting. I never thought that my career would be the way it's been. My first job was actually working in a barn shoveling, fun stuff. I think it's that you've got to work hard to get where you are. You've got to work for your dollar. How small the business is. It's so big, because it's worldwide, but at the same time, it's very small. You always see the same faces.